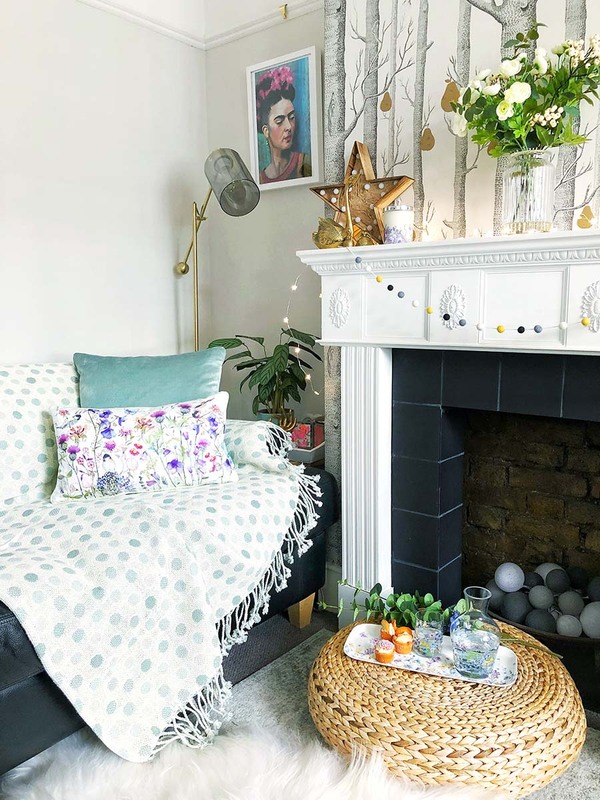 Transform your living room with a little inspiration from Amy Davies from Little House In London! 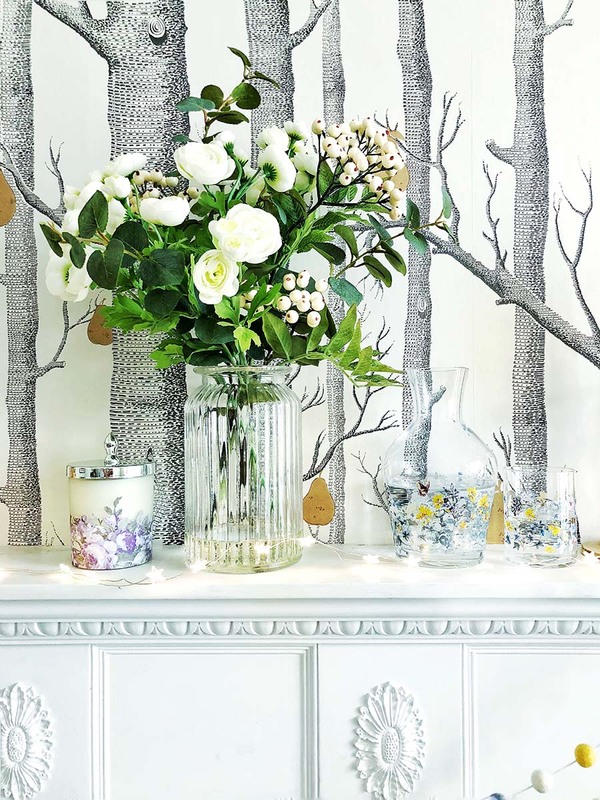 Laura Ashley recently asked me to collaborate on a mini makeover for my lounge, of course, I jumped at the chance. 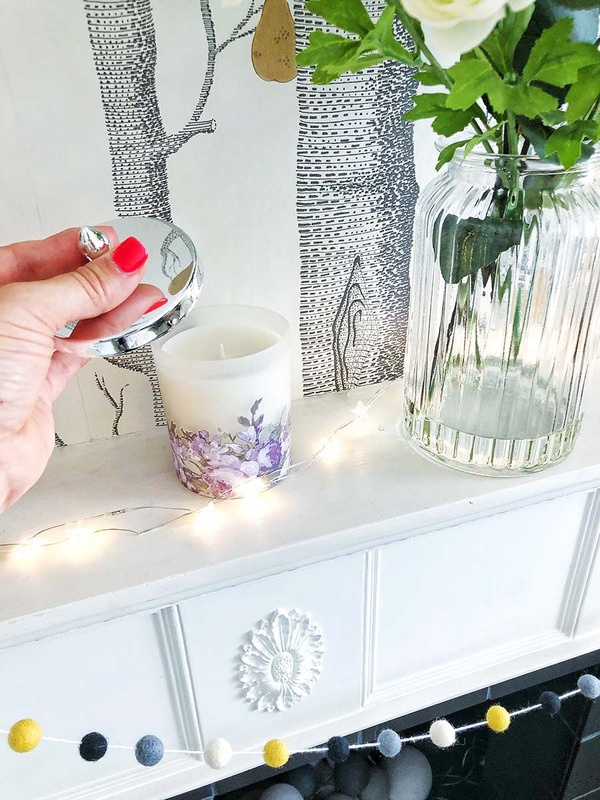 I’ve selected eight items from their current range to show you how a few key pieces can transform your living room in an instant. 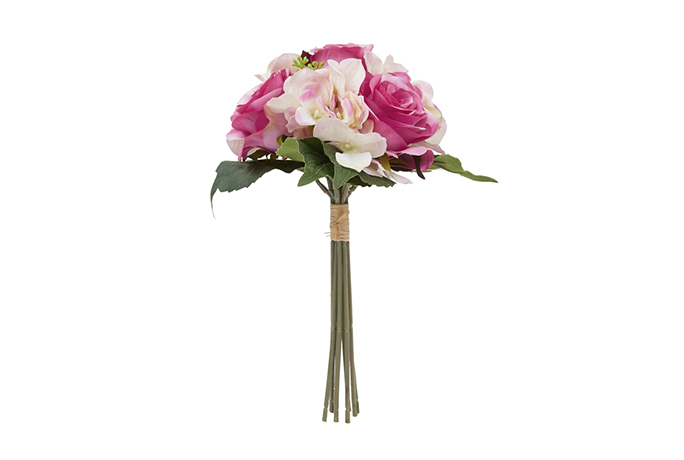 These pieces are very versatile and would also work well in a bedroom, study or even the garden. Have fun mixing patterns and textures together, something I’m a big fan of. 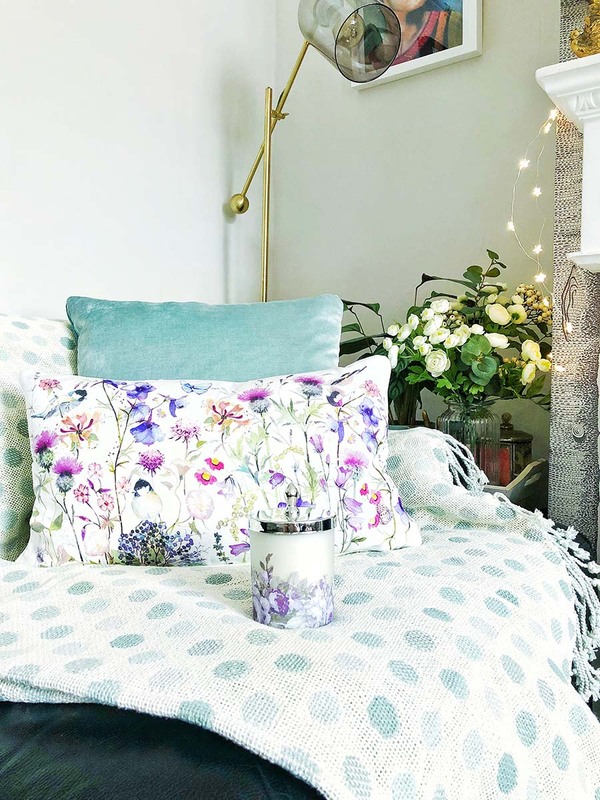 I’m crushing on duck egg in a big way at the moment, so, as a starting point, I selected this stunning Lemington duck egg throw. I love the polka dots and the soft tassels that trim the edges. I’m planning on throwing this beautiful piece over my rattan sofa in the garden too. 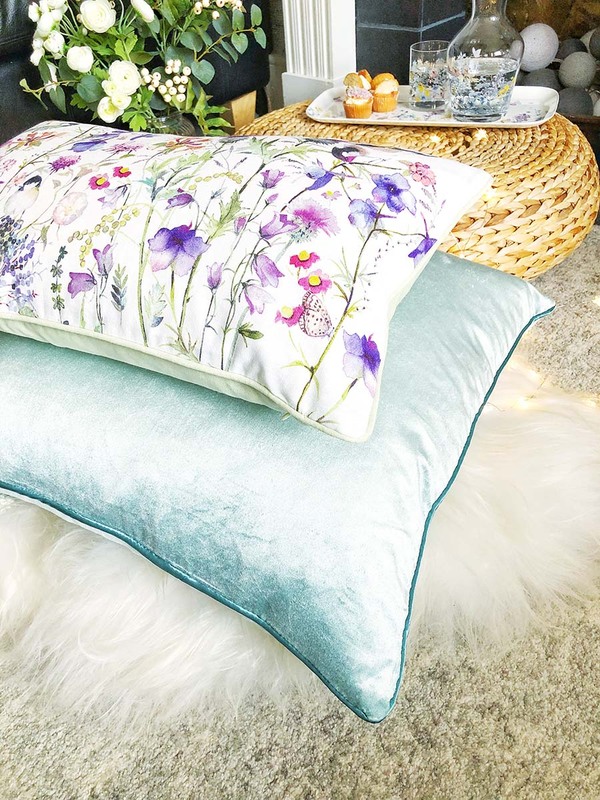 Carrying on with this colour scheme, I went for this Nigella square velvet cushion it’s luxuriously soft and has an elegant piping to finish. I wanted a pattern or colour to compliment the cool duck egg hues, something summery. 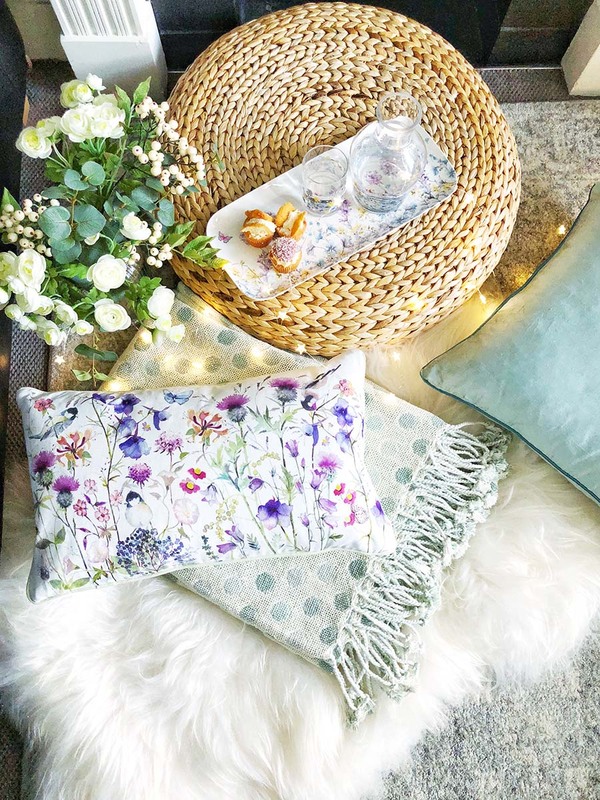 Ended up opting for this Natures Florist cushion, it features watercolour thistles, flowers, and autumnal birds. As I noticed the cushion is trimmed and backed in hedgerow green to compliment the flower pattern. 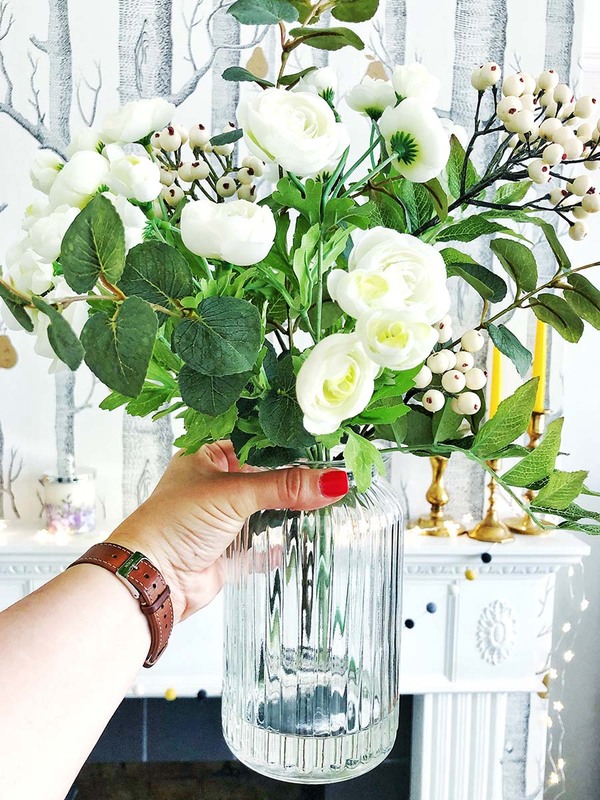 Did you know faux flowers are a huge trend this year? I wanted a display that I could move from room to room, something I could have on show all year round? I settled on this White vase arrangement, it features Ranunculus, Eucalyptus, and plump berries. The white and green colour scheme seems to work in all the rooms in my home. 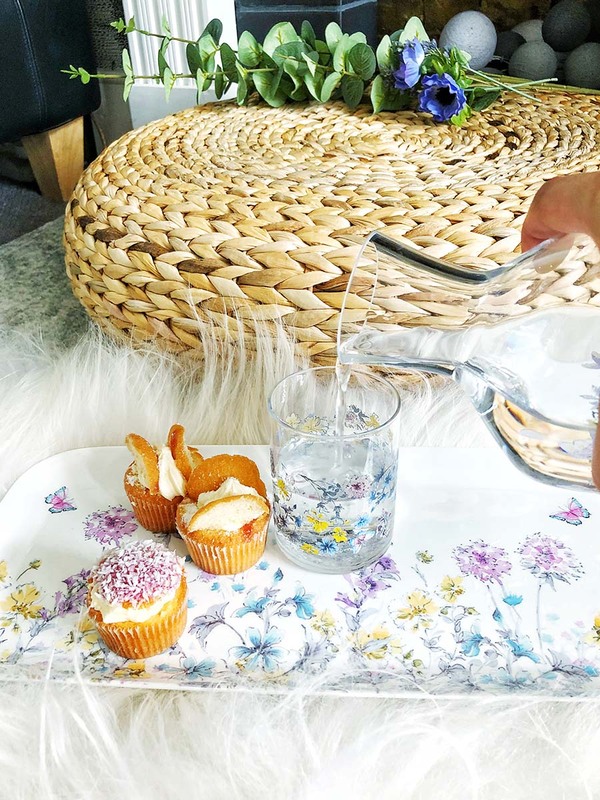 Being a big fan of the glassware in Laura Ashley, I am so pleased with my new Carafe and tumbler set. 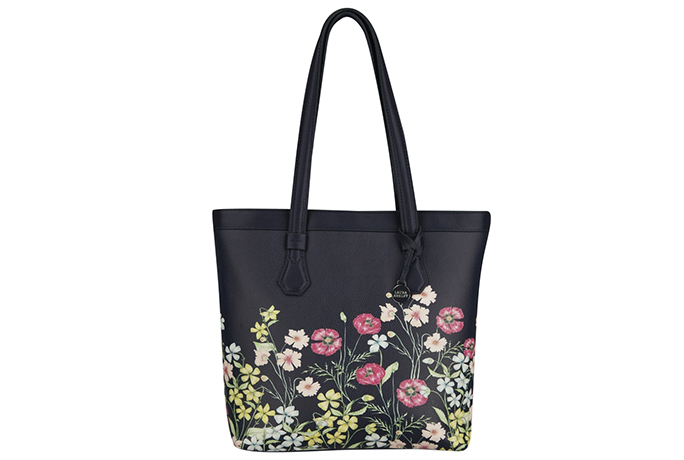 It features a gorgeous floral design which is hand painted in watercolour and printed onto the glass. 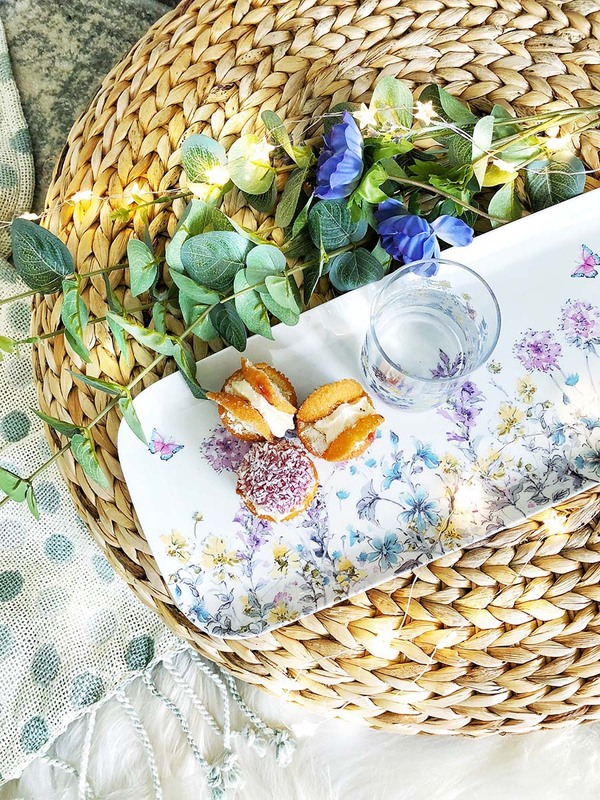 It also features fluttering butterflies and English flowers in purple, yellow, and blue. 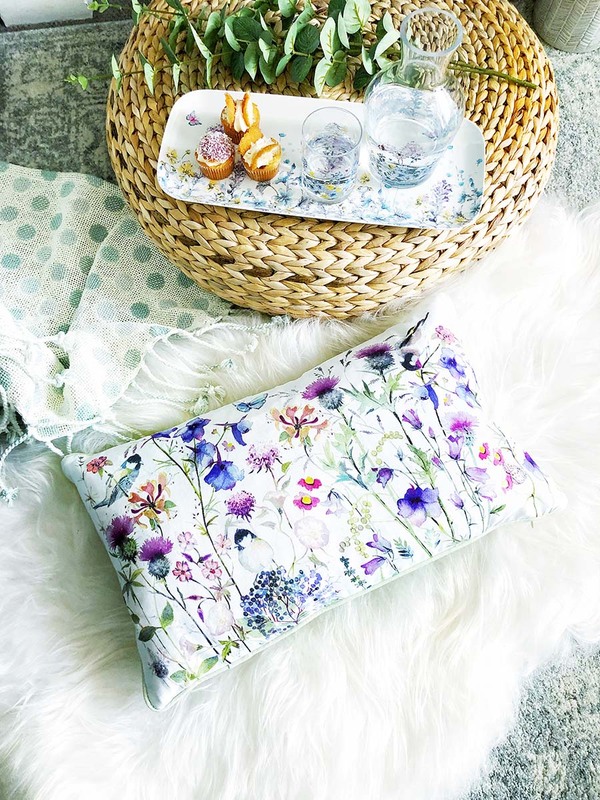 You can pair this set with other pieces in the Meadow Flower collection. 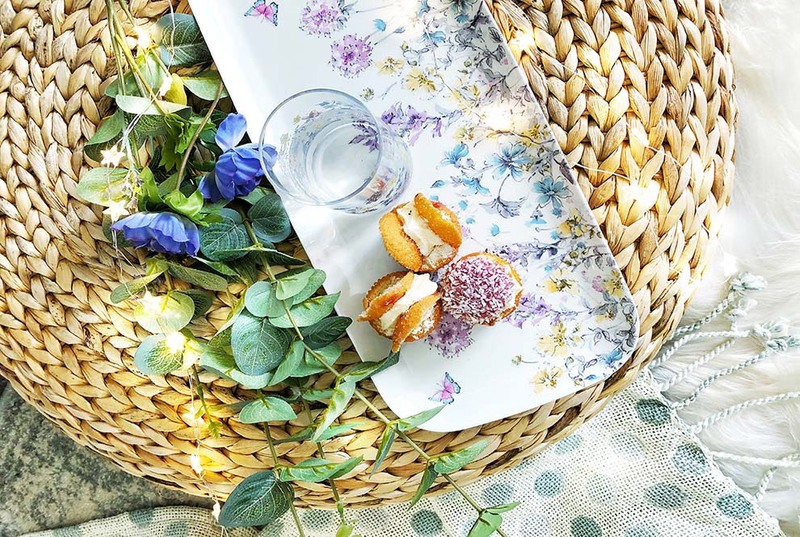 Mine has been teamed with this Sandwich tray, it’s melamine, so will be used in the garden and on picnics too. 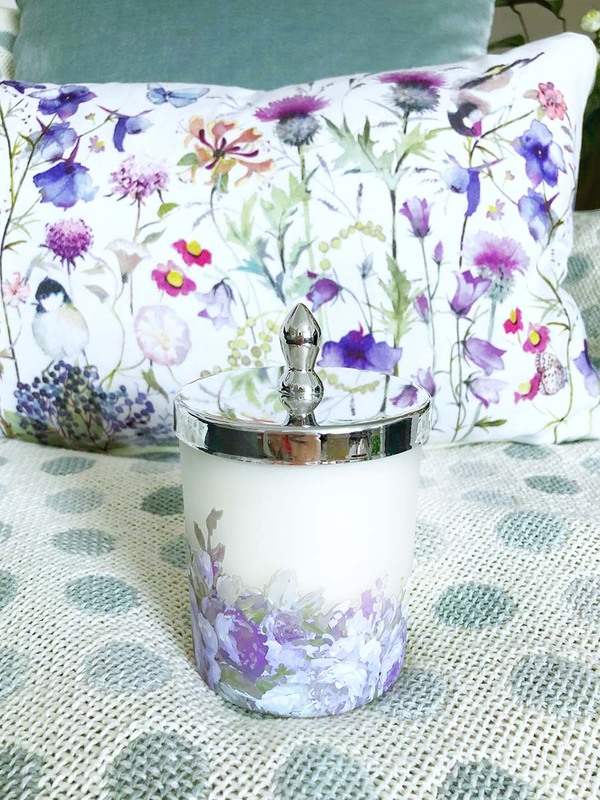 Continuing with the floral patterned theme I added this Lavender and chamomile frosted glass candle into the mix. It has an airy, floral scent that exudes relaxation. The lid is not only a pretty feature but ensures it stays dust free. The candle will hold it’s scent for longer too. I’m a true advocate for the humble fairy light and a fan of the wire version, as you can mould them into the shape you want. 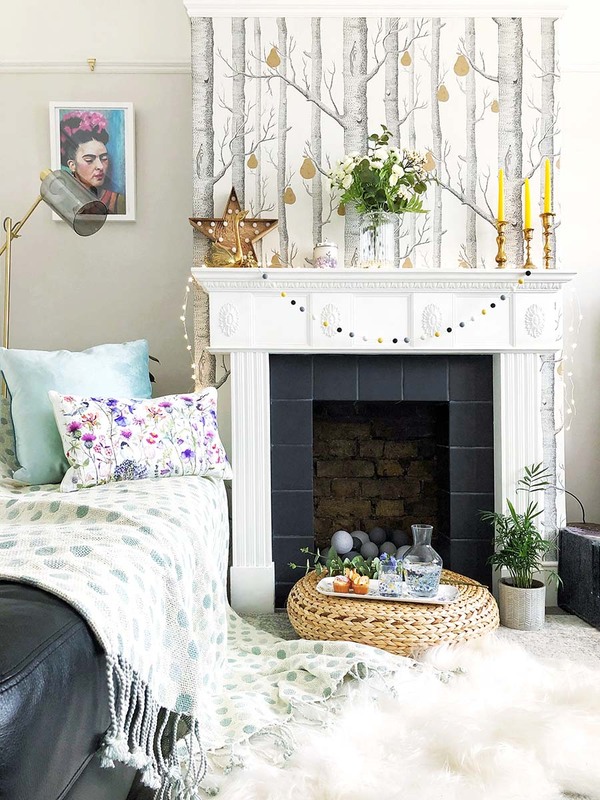 Love to draping them across my mantle, they add a real magical feeling to the room. 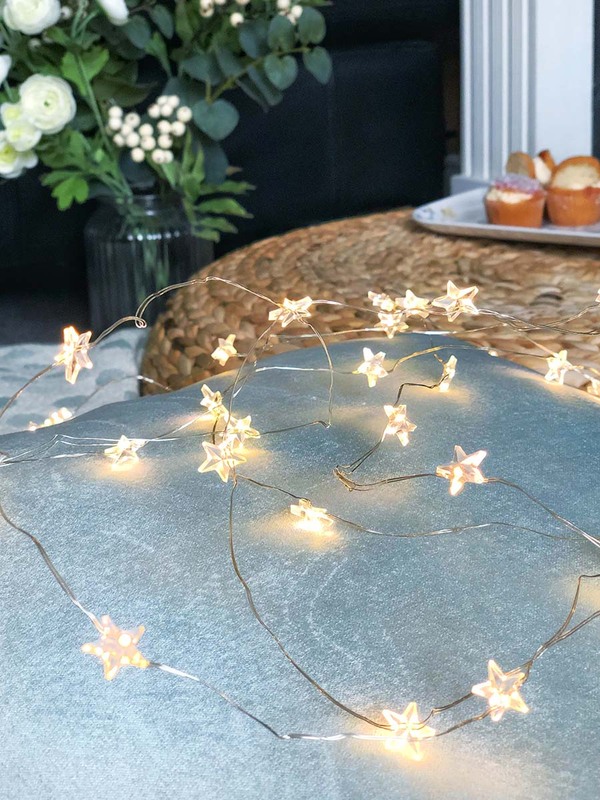 I ended up choosing these Wire star lights, which are available in two lengths. 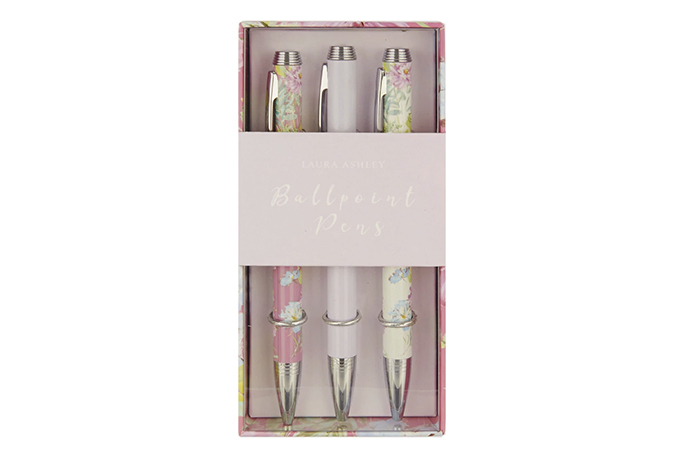 I’m over the moon with all of my new Laura Ashley homewares. Hope you’ll agree they look perfect here at Little House. I’m certain these classic, fun, luxurious pieces will feature throughout my home for years to come. Are you thinking about revamping your living room? Let us know below or @LauraAshleyUK.